It's the halfway point already! I don't know what happened between last week and this week but I'm feeling LARGE. According to my Ovia app....Baby is the size of a paper plane, or Belgian endive. Interesting! According to my calculations, she is the size of a Buick! Changes I've noticed: I haven't stepped on a scale, but I'm assuming I've packed on a few more pounds in the past week. My dad came down for a visit and we ate A LOT of really good food, so I wouldn't be surprised. I've just been feeling really bloated between the "not so great" food choices and baby growing very rapidly....there's no room in there! Most nights this week I've felt like I'm about to burst! It's too soon for this! Check out that work belly! How I've been feeling: As you could imagine, feeling bloated doesn't feel very good. I'm hanging in there, but a little extra energy would be nice! How I've been sleeping: Despite the fact that I've been sleeping really well, it would probably be a good idea not to get involved in binge watching House Hunters before bed. I've been going to sleep way later than I should....and I'm definitely feeling it in the morning! Food and exercise: See above section on "changes I've noticed"....next week, better choices for sure!!! Maternity clothes: I'd say my wardrobe is about 75% maternity. I should probably hang some of it up. The heap of clothing isn't helping with my morning routine! It's time to swap out some things that won't be fitting me for a while. Movement: There were two days earlier this week where she was a little more calm than she was over the weekend, but lately she has kicked it into high gear and has been extremely active. I'm telling you she is busting out of there! I don't remember being able to see my stomach move so early on with Ella. As I'm typing this I see her poking out and making herself known! Best moment this past week: We picked a name!!! There's still some discrepancy on the spelling...but the name is set, and it's perfect! I don't think I'll be announcing it until she is here though, that's what we did with Ella Rose! As anxious as I am to meet this little sweet pea that has been having a party in my tummy....I am okay with time slowing down just a bit! How is it halfway already? Emotions have been a little out of control, especially when I think about the fact that my time with "just Ella" is coming to an end so quickly. I'm trying not to think about it too much and just enjoy this time! Today is a very special day!!! Stephen and I have been married FOUR years! We've created a life far more wonderful than I ever could have imagined! Happy Anniversary to my other half! We took Monday off of work and planned a very special getaway with our sweet girl! It's going to be a blast, I'll be posting a BILLION pics I'm sure! 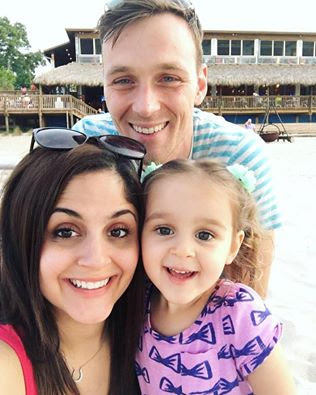 Yay, family fun in the Florida sun! 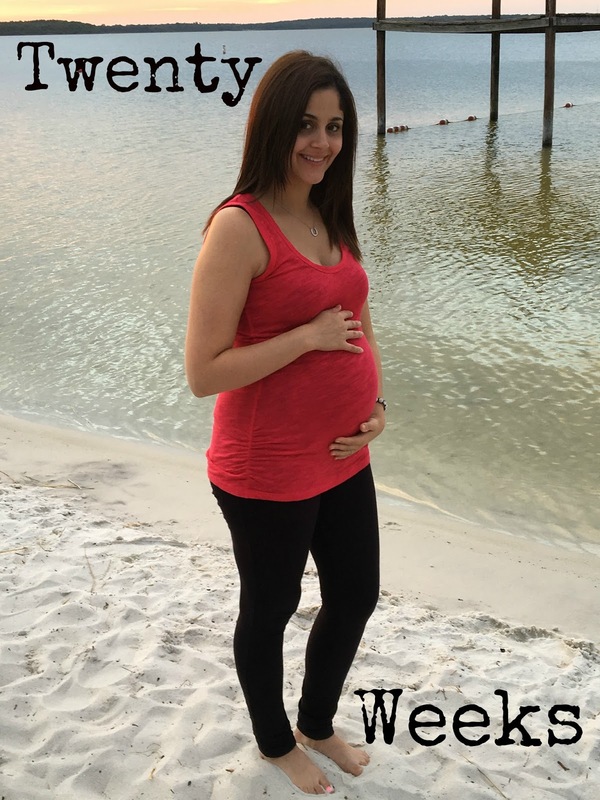 Click HERE to check out 20 Weeks with Ella Rose! What's cooking this week + a recap of our trip! Is anyone cooking around here?! ?